You’ve probably experienced these a couple of times in your life. Whether it happens with your gym routine, music skills, math knowledge or parcheesi, you learn a skill well for a certain period of time—then you stop practicing that skill for a couple of weeks. That’s when you find out how difficult it is to return to the level you used to have. Interestingly enough, this phenomenon is usally pretty brutal with languages. Say you’ve been studying Spanish for several weeks. You completely stop for 3 months and then you try to speak Spanish again. The results are usally quite disastrous. When it comes to languages, unless you’ve already reached an advanced to near-fluent level, it usally feels pretty hard to maintain your ability to express yourself in that language when you stop practicing it. But don’t panic, todo bien (everything is alright). Let us help you with that. 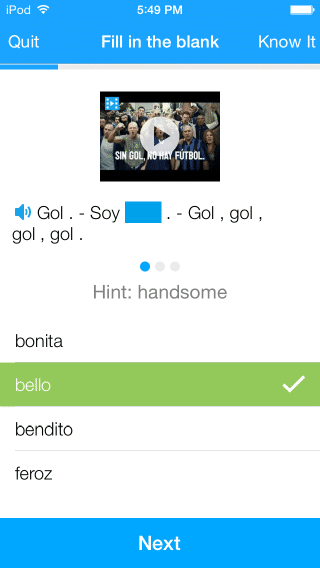 1.Tap into your memory and find your Spanish skills. Now, in case you’re wondering, you should be aware that once you start learning a language there’s only a very low chance that your skills will disappear para siempre (forever) if you stop practicing. Some of the things that might happen when you stop using Spanish after a sustained period of learning? Your mind may become a bit idle and it’ll start losing its familiarity with using the idioma (language). It’s like you know how to say something but the words just won’t come out of your mouth. Sometimes your tongue even loses its ability to reproduce Spanish sounds, like the very special rolled RR or the typical Argentinean ch sound. If those things happened to you, rest easy, you’re not alone! Let me tell you a quick story. One of my native languages is a Caribbean language called Kréol. It’s a mix between French, English, Spanish, German and some African dialects. When I moved to Buenos Aires, needless to say I had very little opportunity to speak Kréol with somebody. After a couple of years spent without having any Kréol words coming out of my mouth, I had a Skype call with my family. What happened? I couldn’t speak a single sentence in Kréol, my native language! It was a pretty disturbing experience, but guess what? After a couple of minutes in the conversation it was getting easier and easier to speak. And after 30 minutes I could speak Kréol again fairly well. I know a couple of polyglots here in Argentina and they all talk about the same phenomenon. When you speak 3, 4, 5 or more languages it isn’t always easy to maintain a good level in each of them. However, my polyglot buddies all agree on the fact that it’s always possible to come back to the level you had—provided you’re willing to work for it. Believe me, even if you forget some Spanish during your aprendizaje (learning process), it’s still somewhere in your mind. With the proper stimulation, it’ll come back quicker than you think. 2. 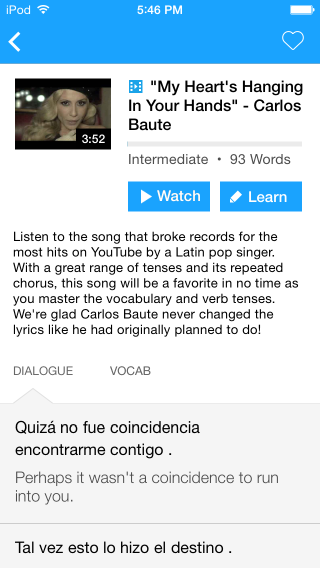 Create a realistic daily routine for Spanish practice. Now, you need to know that maintaining your Spanish level boils down to one thing: creating a daily routine using the language so your mind doesn’t forget it again. Before speaking about the different types of routines you can create, let’s explore some good tips about how to create that daily routine. Have a checklist of all your routine tasks. We’re going to give you a bunch of techniques you can use to maintain your Spanish level. The best thing you can do is to pick the ones you like the most and commit to using them every day. In order to have a clear idea of what you need to do, write down your daily Spanish practice routine in the form of a checklist. This way you won’t have to think when the time comes to get some work done. It’ll quickly become automatic. Keep the checklist visible. Make sure to write it down on a piece of paper, not on your computer. If it ends up on your computer or smartphone, be sure to have an application send you daily notifications and reminders about it. Otherwise, stick that list on the wall or keep it somewhere it’ll be easy for you to see daily. There’s nothing more frustrating than being motivated to get something done and not being able to find the related material you need to achieve it. Make the checklist as straightforward as possible. 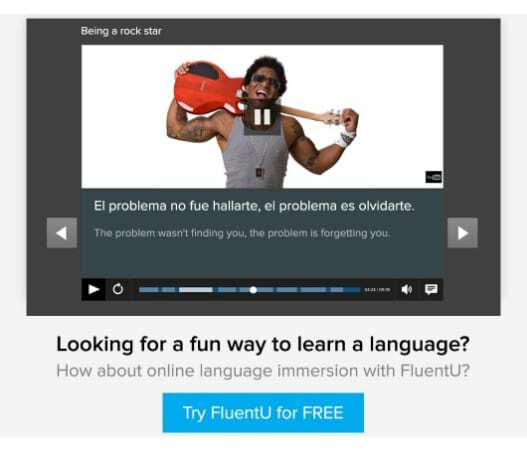 Say you want to practice your Spanish every day via reading. You don’t want to write down “read something in Spanish” on your checklist. Be precise. That way when it’s practice time you don’t have to think—all you have to do is sit down and do whatever you’ve committed yourself to doing. A better routine could be to read one page of a specific Spanish book per day for 4 weeks straight. This is simple, precise and you know absolutely what to do each night. Moreover, it’s much easier to get used to reading one page of Spanish text per day than just “read some Spanish every day” isn’t it? Practice Spanish in small doses. One of my favorite proverbs is the following: “an apple a day keeps the doctor away.” I love it because it’s totally true. When I was studying Spanish, I can’t tell you how many times I had firmly decided to work on it daily. Then, of course, I’d get to the end of the week without actually having practiced seriously. I then decided to compensate by working on my Spanish for 3-4 hours on the weekend. Bad move on my part! Eating 7 apples on Sunday just isn’t going to get the job done. Some things you’ve got to do daily. The last ingredient for daily practice to work is to make sure that each item on the checklist just takes you a couple of minutes every day (think reading one page per day of a Spanish book instead of 10, or just listening to 5 minutes of Spanish radio per day). Now, the best daily routine you can create will incorporate the following four main areas: writing, reading, listening and speaking. Let’s examine each of those four areas in detail and how you can practice them all efficiently. 3. Give your writing skills a boost. Writing is a highly engaging exercise. When I was learning Spanish, I believe writing 1 or 2 pages per day about my work day seriously skyrocketed my skills in that idioma (language). Here’s what I’d advise you to do. Set out 5-10 minutes per day to write in Spanish on a piece of paper (not on your computer). What do you write about? Write about something outstanding that happened to you that day, for example, or about what you’re planning to do the following day or week. It doesn’t need to be something really complicated as long as you’re writing about something that’s interesting to you. Now, what matters is to engage your mind to produce a piece of writing in Spanish every day. Thus you might consider other ways that’ll be more convenient for you. For example, if you’re commuting on public transport often, you might want to write with the Evernote app on your smartphone/tablet. 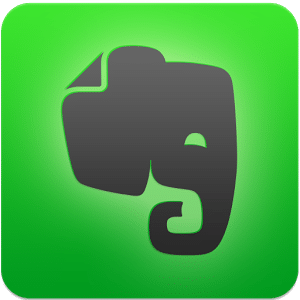 The nice thing about Evernote is that you can write absolutely whatever you want, almost wherever you want (provided you have a mobile device) and then have it back on your computer muy fácilmente (very easily). Another possibility could be to write an email, Facebook post or even a Whatsapp message to somebody who speaks Spanish fluently. Websites like Conversation Exchange and The Mixxer are great to find such people who are willing to help you with your Spanish in exchange for you helping them with their inglés (English). The nice thing about this is that you can actually have what you wrote corrected by the person with whom you’re writing. Make sure to set aside some time for these digital writing methods so you’re doing them regularly as well (maybe send 1 or 2 emails per week and exchange Spanish Facebook messages more often). 4. Use engaging resources to read in Spanish every day. Incorporating some reading practice into your daily routine is really important in order to maintain your comprehension skills. This is the siglo 21 (21st century) so you have a great number of resources available at your fingertips. For example, did you know that Amazon offers a fair selection of free Spanish e-books? Just head over to Amazon’s website in order to find a list of free or really cheap Spanish e-books that you can read on your Kindle, your computer or pretty much anything that has a screen. You may also want to invest in a Spanish reader or two. These are small books written to suit the needs of Spanish learners and are usally much more approachable than classic Spanish litterature. Highly recommended! If you’re more of a magazine type of person you’ll probably find some nice revistas (magazines) in your local bookstore or a nearby digital library. As for me I really like the 20 minutos or the Spanish version of the famous Huffington Post, El Huffington Post for newscast, as well as Emprendedores which talks about topics related to emprendedores (entrepreneur) or GQ men Style for magazines. By the way, you can find a pretty exhaustive list of revistas y periódicos (magazines and newspapers) on this website. Finally, reading Spanish-related blog posts every day can be another good way to consume some Spanish content daily (when you commute for example). I’d advise you to choose 3 or 4 good blogs and then subscribe to their RSS feeds in order to receive their latest articles directly on your phone or computer. There really is a plethora of Spanish content on the internet. Just Google one of your hobbies in Spanish and you should be able to come up with a good list of potential blog posts in Spanish. Plus, make sure to like the Facebook fan page of BuzzFeed in Spanish which features funky stories daily for your delight! At the beginning, start your reading practice small. Just read one page of a book or magazine per day or one blog post per day. As it gets easier and easier, you can try to read more for longer periods of time and choose more advanced content. 5. Actively listen to Spanish audio content every day. The next area we’re going to cover is listening. It’s pretty straightforward to practice this one. You have to find some good Spanish audio content to listen to regularly. As usual, listen to it for small periods of time to start off. 5 to 10 minutes per day is perfectly fine. You might even want to listen for more time if what you’re listening to is really interesting! As with the reading part, there are plenty of good Spanish audio content sources available out there. First you may want to invest in some good audiobooks. 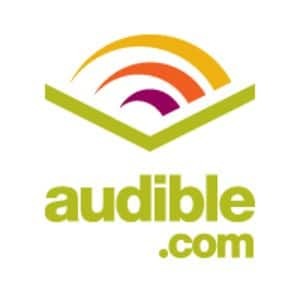 Audible is one of the leading audiobook vendors, and you’ll find high quality audio versions of popular Spanish books for a fair price. I especially like “El poder de ahora” (“The Power of Now”) by Eckhart Tolle. The voice in this audiobook is really clear and easy to understand. 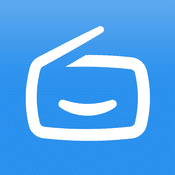 Second, I’d advise you to download the very easy-to-use and free Simpleradio app. This app allows you to listen to a large variety of radio from all over the world. Just plug in your earphones, choose your favorite station and listen to it for a couple of minutes every day. It’s super cómodo (confortable) and I currently use it every day to listen to some portuguese on a daily basis. If you need some radio station recommendations, check out Cadena Cope from Madrid or those two South American radio stations: CNN radio en español and Recuerdo 107.5. Finally, if you have some spare time you can trust good old YouTube to watch some cool videos in Spanish like newscasts or funky viral Latin American videos. Again, just go to YouTube and type in the name of one of your hobbies translated into Spanish and you should find enough content for several days. To be honest, I often cheat on YouTube to use another exceptional website to find high quality, content-rich videos in other languages. Have you ever heard about the TED conference? It’s a global set of conferences held throughout the world on a wide variety of topics (scientific, cultural and academic topics among other things). 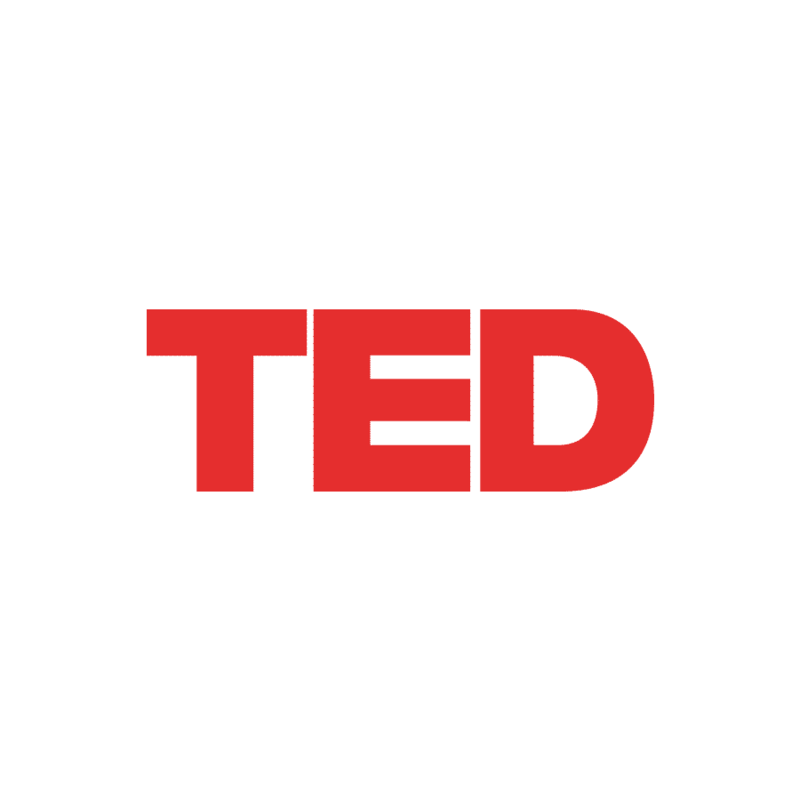 Head over to the TED website to find speakers from all sorts of backgrounds, and listen as they deliver their innovative ideas to you about pretty much every subject from math, psychology, business and environment to “lighter” temas (subjects) like juggling, language learning, traveling, video games, relaxation and more. Keep in mind, though, that some videos might be much harder to understand because of the topic or the technical language used. But, hey, there are hundreds of videos available, so if one is really out of your league you can just pick another one. 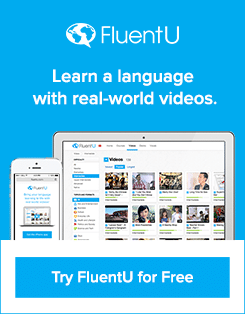 Since we’re talking about great Spanish video content, I’d be remiss if I didn’t mention FluentU. 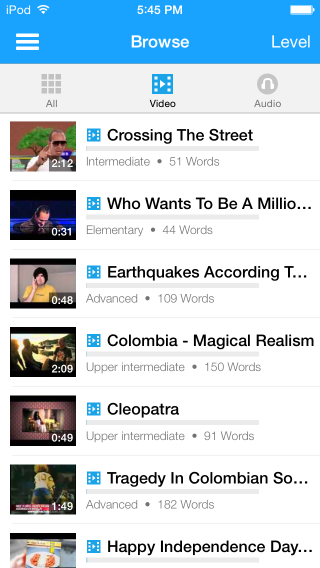 FluentU takes real-world videos—like music videos, movie trailers, YouTube clips, news broadcasts and inspiring talks—and turns them into personalized language learning lessons. 6. Speak Spanish to anyone who will listen. Last but not least, you’ll have to complete your daily Spanish routine by speaking Spanish for several minutes per day. You essentially have two main ways to go about doing this. Firstly, you can (and you should) talk with yourself. You might want to isolate youself to do this if you don’t want people to think you’re crazy. And una vez más (once again) it’ll only be for 5-10 minutes per day. Just have a chat with yourself. It’ll be like the personal writing exercise described earlier in this post, but this time you’re doing it out loud. You can talk about what you did that day, your plans for the following day or even imagine catching up with a friend you haven’t seen in a long time. Make sure to write down every word or expression you don’t know how to say. That way you can look for them later, add them to a Spanish vocabulary notebook and study them every night. If you have the opportunity, you might want to speak with a real person on a regular basis instead. The absolute most convenient way to do this would be to have a weekly Skype meeting with a Spanish native speaker. You can find people willing to do such a intercambio de idioma (language exchange) on websites like Conversation Exchange, The Mixxer or Couchsurfing. Once you’ve found someone you like to speak with, consider exchanging Whatsapp contact information. This way you’ll be able to send recorded audio notes to each other or even call each other up for free. My only recommendation: don’t exchange contact information until you’ve built up a good connection with this person. Having a language exchange buddy certainly helps you to maintain your Spanish speaking skills. You absolutely need somebody who’s serious and committed to speaking with you every week. Although it’s not so hard to find that special someone—there are plenty of people willing to do this—I’d recommend that you both speak to yourself and your language exchange buddy as often as possible. If you apply the recommendations provided in this article, your hard Spanish work doesn’t have to fade away. 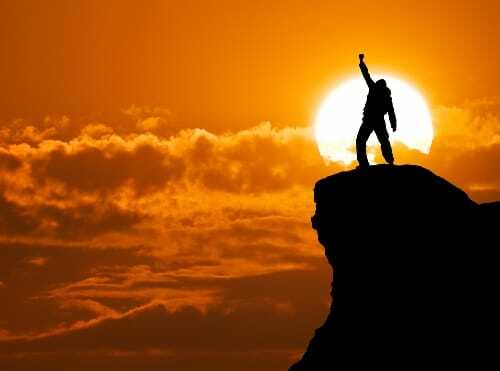 If you just give yourself 5 minutes per day for writing, reading, listening and speaking, you’ll rock! You might even improve your level this way instead of maintaining it. It won’t take you more than 20 to 30 minutes per day to do all of this, and you can do most of the exercises at home, during your lunch break or while commuting.